Bob Curnow has written some marvelous arrangements of Metheny/Mays music in the past, and this chart will surely "tug at your heartstrings. Exactly as recorded by Chris Conner with the Stan Kenton Orchestra, this moody, brilliant arrangement is a perfect vehicle for your vocalist. One of those mystery charts that hardly anyone knows about, this chart is a beauty. The lush trombone section sound of the Kenton Orchestra on a gorgeous ballad. This beautiful ballad is featured on Pat's newest recording Secret Story, and has been scored to highlight solo statements by flugelhorn, guitar or alto saxophone (your choice). 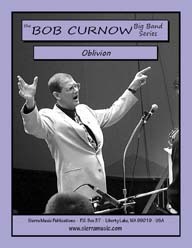 Bob Curnow is very well known for his wonderful arrangements of Metheny's music, and this chart will only enhance that reputation. This is a newly re-arranged version of the magnificent melody recorded on the Adventures In Time CD (available on CD from Sierra). This is a lovely rock ballad featuring alto saxophone throughout. Pat Metheny is known for his beautiful melodies, and "Back In Time" is no exception. 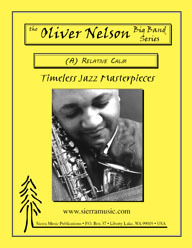 Oliver Nelson wrote the most beautiful melodies! This is a clarinet feature (how about that? ), and was recorded by Phil Woods and the Oliver Nelson's Jazz Interactions Orchestra (hear it on the Verve Jazz Masters 48 CD). This chart is recorded by Oliver Nelson on the recording titled Black, Brown and Beautiful. This is a remarkable chart that features tenor saxophone throughout. This may be one of the most beautiful compositions Sierra Music has ever published. 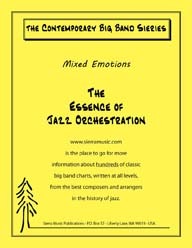 When Lennie arranged for the Stan Kenton Orchestra, he created the most beautiful big band dance book ever written. Here is a deeply emotional, gorgeous ballad from the self-titled album Lyle Mays. This historically important piece opens with a rubato piano solo and then moves to a terrific Rugolo trombone feature (originally recorded by Kai Winding). Graettinger arranged this standard in his most unusual way, using dissonance offset with the beauty of this gorgeous melody. This ballad is almost spiritual in its effect!! A trombone feature, the melody soars throughout. A beautiful solo for Flugelhorn. This is a beautiful, lush, straight-eighth ballad on the popular Cole Porter tune "Easy To Love. This standard is made even more beautiful with this Hooper arrangement. A magnificent alto saxophone feature. As recorded by the Stan Kenton Orchestra on Stage Door Swings, this is a lovely ballad scored in the incomparable Kenton style. 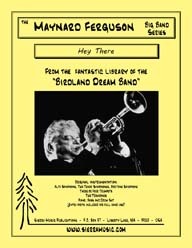 Here is a chance to dazzle your audiences and show off the Trumpet Section, without a lot of hassle. One of the loveliest ballads ever recorded by the Kenton Band. As recorded by the Oliver Nelson Orchestra, “Heidi” is the 3rd movement of the Impressions of Berlin suite. 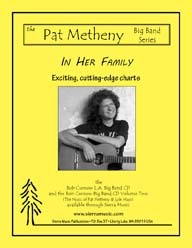 A gorgeous solo feature for alto saxophone throughout. As recorded by the Oliver Nelson Orchestra, “Heidi” is the 3rd movement of the Impressions of Berlin suite. A gorgeous solo feature for alto saxophone throughout. This is, unquestionably, one of the most beautiful ballads ever written. 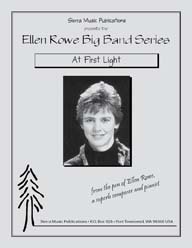 This is the original, quintessential arrangement by the great Dee Barton as recorded on the "Live at Redlands University" CD 5-5-5-3. As recorded on "Maynard Ferguson Plays Jazz For Dancing" (Roulette), this may be the prettiest chart that Willie did for Maynard's band. As recorded by the Stan Kenton Orchestra on the CD "Live at the Tropicana," this slow, bluesy piece is a wonderfully understated chart that features an easy-to-play, written piano solo. 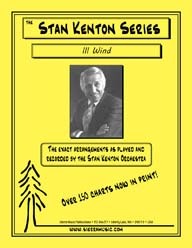 This is another of the many wonderful charts arranged by Lennie Niehaus for the Stan Kenton Orchestra. This great chart, a magnificent ballad feature for trumpet, is recorded on the "Tonight Show Band, Volume One " CD (Amherst Records). This arrangement of "I Hope In Time a Change Will Come" came about through a desire to hear/play more than one chorus of this stunningly beautiful melody by Oliver Nelson. As recorded on the brilliant recording "A Dream Deferred" (Flying Dutchman CYL2-1449), by the Oliver Nelson Orchestra. Here is a wonderful vocal chart by Lennie on this unforgettable standard. This arrangement by Oliver Nelson is a gorgeous alto saxophone feature of Cole Porter's "I Worship You. This was originally arranged as a vocal chart and has been published to also feature vocal or any one of a number of soloists (your choice). This wonderful ballad is recorded on the Stan Kenton Orchestra “Sketches On Standards" CD. This is a rich, warm chart as arranged by Stan. A lovely Broadway tune as scored for Kenton's dance book. This arrangement is easier than the Pro version. Pat plays this at just about every concert of the Group. Tadd Dameron's ballad "If You Could See Me Now" receives sensitive and thoughtful treatment in this arrangement by the great Bill Holman. Bill Mathieu's arrangements, done for the Stan Kenton Orchestra were some of the most beautiful pieces ever recorded by that band. This is one of Pat's most haunting, pensive and beautiful ballads. 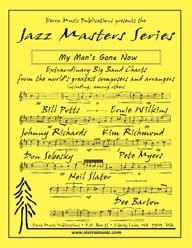 Recorded in 1947 and included in the Milestones LP, this piece is a gorgeous melody (one of Pete's best known). A ballad for Solo Trumpet, this is an ideal selection for your festival requirements. 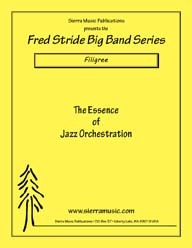 As arranged for and performed by the Stan Kenton Orchestra, this is a wonderful setting that features the saxophone section and solos for trumpet and trombone. This arrangement does not include brass or drums. Metheny's ballads are beautiful and haunting. 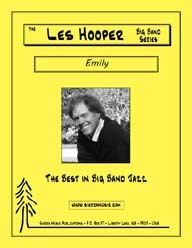 With a nod to the wonderful David Maddux arrangement written for First Call, Bob has created a gorgeous version for big band. As recorded on the Standards in Silhouette CD, this is yet another of Bill Mathieu's classic arrangements of a great jazz standard ballad. This chart was originally written for Charlie Parker to perform with the Stan Kenton Orchestra. As commissioned (and recorded) by the SWR Big Band of Stuttgart, Germany, this is a lovely, easy-flowing piece that moves from a ballad (lullaby) to a waltz (featuring trombone and alto saxophone) and back again to the ballad. An absolutely gorgeous Bobby Troup ballad which features trumpet and tenor sax. 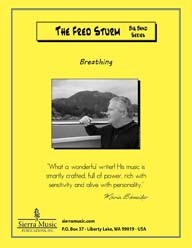 Fred wrote this version first, before creating the shorter, easier version. When you first hear this beautiful melody, you'll be pleased that you chose this chart. This was recorded by the Stan Kenton Orchestra on "Adventures in Jazz. 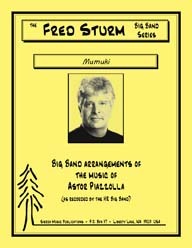 Rich DeRosa has composed a fascinating, brooding, and pensive melody of “Mixed Emotions.” Set in a very contemporary feel with lush harmonies and reasonable brass ranges Astor Piazzolla's music lends itself well to the big band idiom, and Fred Sturm is a masterful arranger for big band. My Foolish Heart is an arrangement of one of the most popular melodies ever written. 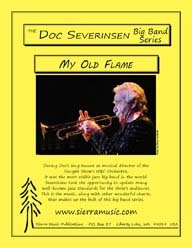 As originally recorded by the great Charlie Mariano with the Stan Kenton Orchestra, this is a must-have solo feature for alto saxophone. This absolutely beautiful arrangement by Willie Maiden features a trombone and tenor sax solo, along with the primary solo by (guess who) the trumpet player a la Maynard. This is surely one of Gershwin's most beautiful melodies," and Potts arranged it to feature trumpet throughout (as recorded on the 1959 album "The Jazz Soul of Porgy and Bess", featuring the Bill Potts Big Band) . Although this has been in the catalog for a while, it is now notated in Finale, and the new edition comes with a full score for the first time. 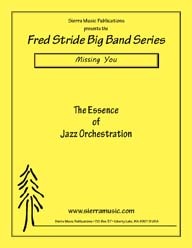 As recorded by the Tonight Show Band on "Once More With Feeling" (Amherst), this is a lovely, warm ballad setting of this great standard tune. This is another of the many wonderful charts arranged by Niehaus for the Stan Kenton Orchestra. “Neil” features the piano with a lot of room to improvise, combined with gorgeous, lush, legato ensemble passages. Quite playable by most bands. “Neil” features the piano with a lot of room to improvise, combined with gorgeous, lush, legato ensemble passages. Quite playable by most bands. As commissioned (and recorded) by the SWR Big Band of Stuttgart, Germany, this is an extended arrangement based on a gorgeous melody by Pat Metheny. Pat Metheny writes superb ballads. Piazzolla wrote many beautiful melodies, and this one is perhaps the most haunting. Piazzolla wrote many beautiful melodies, and this one is perhaps the most haunting. This was written in memory of Stan Kenton. The all-time, classic saxophone section feature. In 1953, Kenton recorded an album titled Sketches on Standards. This is a gorgeous ballad arranged by Willie Maiden for the great Maynard Ferguson Orchestra and is included in "The Complete Roulette Recordings” (Mosaic). This is a beautifully haunting melody, scored for bass clarinet soloist (opt. This was the first chart arranged by Lennie to be recorded by Stan's band. Oliver Nelson wrote the most beautiful melodies!! This is an alto saxophone feature and was recorded by Phil Woods and the Jazz Interactions Orchestra in 1967 (hear it on the Verve Jazz Masters 48 CD). Here is another fantastic trumpet feature for a fantastic trumpet player. 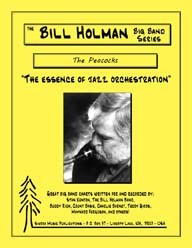 Arranged by Holman for Carl Fontana with the Stan Kenton Orchestra in the mid 50's. The Stan Kenton Orchestra was always an ideal showcase for the outstanding soloists within its ranks. This piece has been in the catalog for a while, but it has been totally recomposed and notated in Finale. We are proud to publish another one of Stan Kenton's ground-breaking saxophone section features. "(A) Relative Calm" is a beautiful ballad that features trumpet throughout. One of the things Johnny Richards did best was write gorgeous melodies (many just think of him as bombastic and obsessed with odd-meter things). As recorded by the Stan Kenton Orchestra on "Live at Brigham Young University", this is a rare baritone saxophone solo feature throughout.